Haitian restaurants come and go. Some are great, others not so much. Usually they remain small operations, serving the community near them. Some may last only a year or less, others pass down through generations. But rarely does a single Haitian restaurant have the quality, planning, competence, and tenacity to multiply into a chain of restaurants. Well, that is exactly what Brooklyn’s Kreyol Flavor is doing. And in New York, that’s a first. Cursy St. Surin and his mother, Marie Flore Bastien, opened the first Kreyol Flavor at 1738 Flatbush Avenue (near Avenue J) in 2007. But Cursy and his mom didn’t really know the restaurant business or hospitality industry. 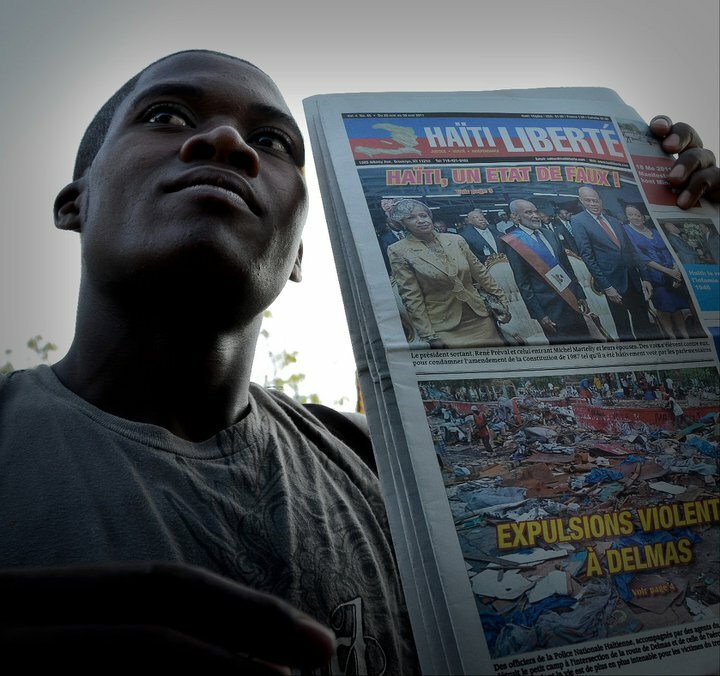 His family in Haiti had run “borlettes,” small Haitian lotteries, not eateries. At Brooklyn College, he had studied Communications and Broadcasting. “So we just had to learn as we went along,” he said. In 2014, Cursy opened the restaurant’s second location at 2816 Church Avenue, just off Nostrand Avenue. 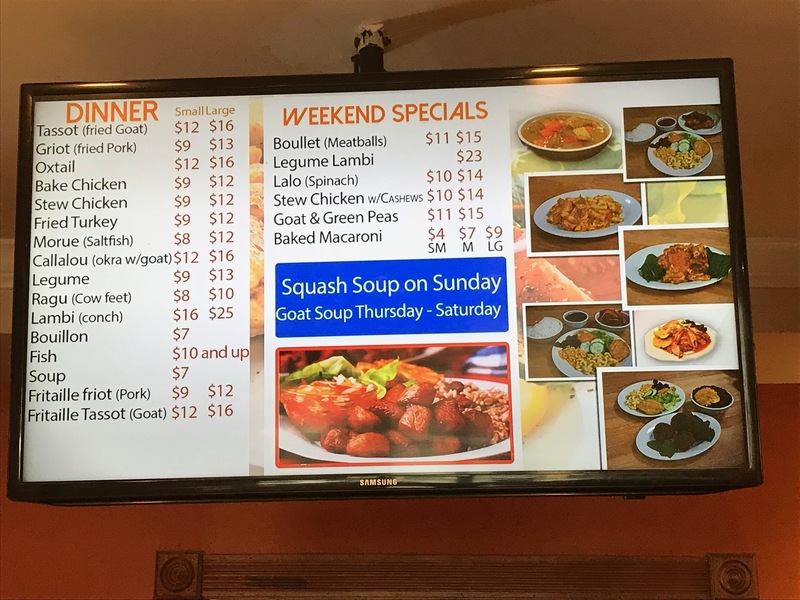 He kept the same menu and same look of the original restaurant: wood-paneled walls, tasteful artwork, large television screens running news (not too loud), and cafeteria-style serving. The servers, mostly women, are proficient and polite. Like its predecessor, the Church Avenue Kreyol Flavor was a big hit. It’s challenging to find good managers and staff to run the restaurants smoothly, and to keep the menu, prices, and presentation the same, so clients know what to expect from the brand, just as they do at McDonald’s, Denny’s, or Applebee’s. The formula has worked. 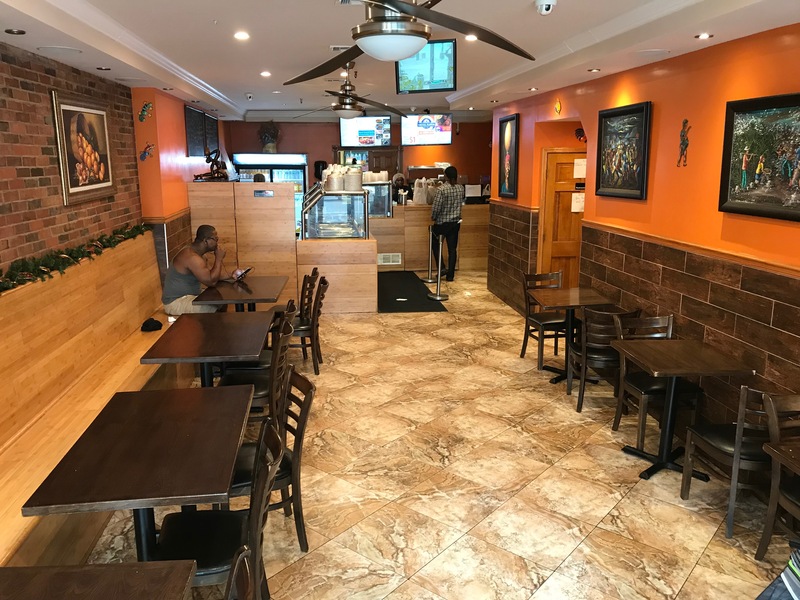 In August 2018, Kreyol Flavor opened its third location at 8221 Flatlands Avenue in Canarsie. “It’s a lot of work, sometimes up to 12 hours per day,” Cursy explained. Kreyol Flavor caters events, house parties, boat parties, communions, and weddings. Many customers get take-out, but many others eat at the tables. The restaurants are spacious and clean, and the atmosphere convivial. Our mission is to serve authentic Haitian food, with no mixing or fusion. 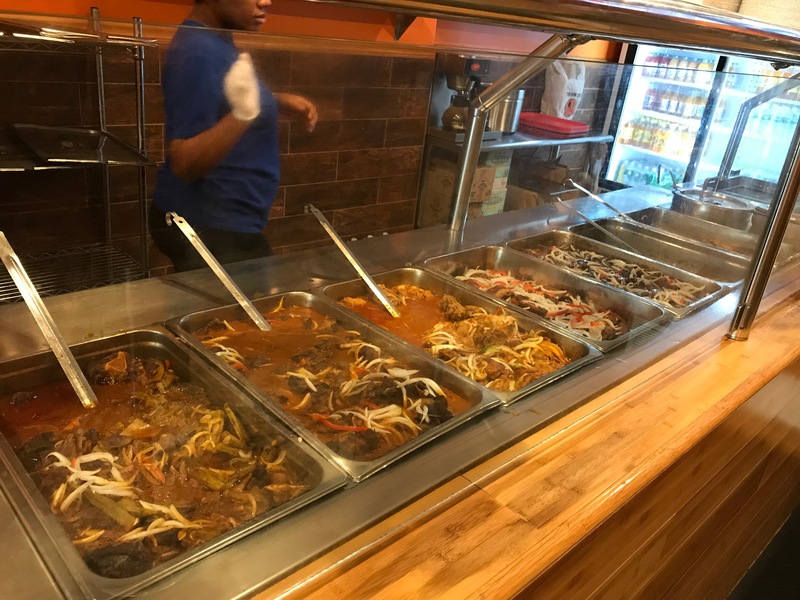 It includes tassot kabrit, griot, morue, poulet, dinde, poisson, légumes, callalou, ragu, boulet, lalo, bouillon, soupe joumou, macaroni, fritay, oxtail, and more. They also sell patties, as well as breakfast, lunch, and dinner. Kreyol Flavor’s meals are available through the UberEATS delivery service. 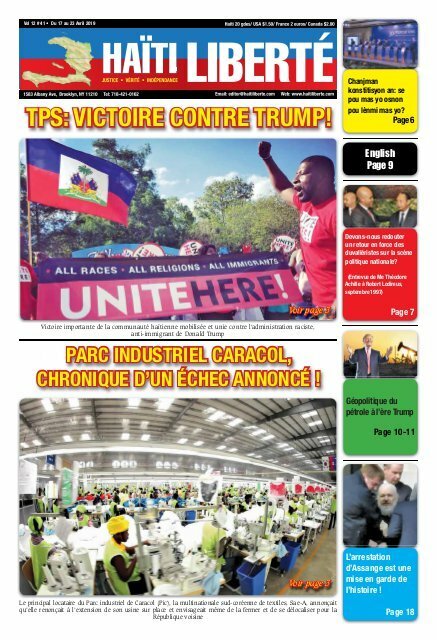 There have been other Haitian chains. 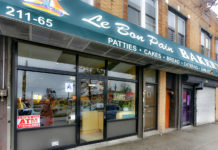 La Baguette bakery has six branches selling fluffy patties throughout Brooklyn and Queens. Bébé Fritay, which offers deep-fried meat (fritay) take-out, has four branches in Brooklyn. In Miami, Chef Creole has five restaurants. 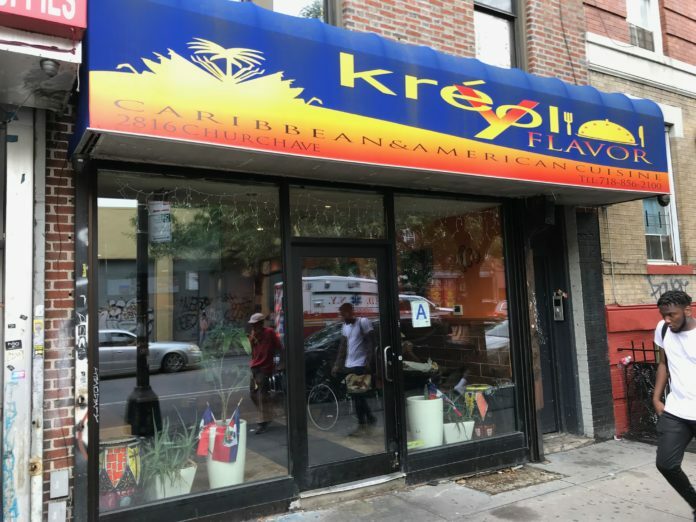 But Kreyol Flavor is the first Haitian restaurant chain in New York. 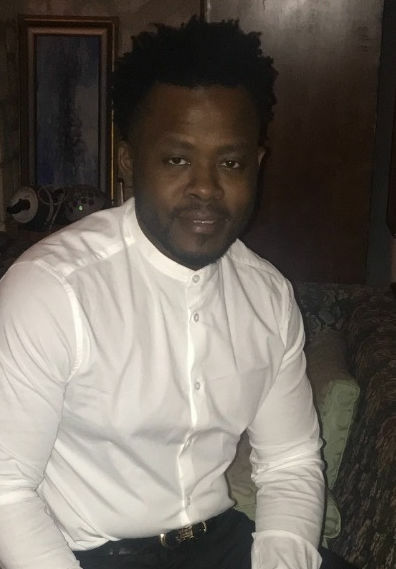 The goal of Cursy St. Surin and his mom is to make a restaurant brand where Haitians are happy to bring, not only themselves, but also non-Haitians (blan in Kreyòl), and there are many blan eating at their restaurants.